Designing and Building interesting and challenging landscapes and working with appreciative and trusting clients is what drives Joe and keeps him passionate about his work. Over the years, Joe has refined his skills to the Design Build residential market specializing in building functional and usable outdoor living spaces. Joe is a multiple award winner at the Philadelphia International Flower Show and the Singapore Garden Festival. His achievements include Best of Show honors at both events, the Governor's Award in Philadelphia and Gold and Silver Awards in Singapore. Joe has also been recognized by NALP (Formerly PLANET) and has received the Grand Award as well as awards of Distinction and Merit for many of his design-build projects. Through the years, Joe has been featured in over 50 newspaper and trade magazine articles, Philadelphia Home and Garden, Hardscape Magazine and Distinctive Landscape Journal, 6 ABC for a backyard makeover project, the DIY networks GardenSMART, and The American Builder on CN8 (Comcast Network). 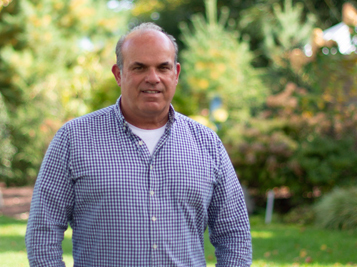 For over 20 years besides being very active in his landscape business, Joe works as a "Green Industry Consultant" with Vanderkooi and Associates traveling the country giving talks at seminars and conferences on Design-Build and helping contractors develop standard operating procedures. Joe is a member of NALP, APLD, ASLA, and sits on the Board of Directors for FEWA.